Unlimited possibilities of report creation functions: KPI reports, Green House Gases reports, CO2 emission calculations, Optimization of demand power, Examination of power quality features, Statements of efficiency of the application of renewable energy sources, etc. 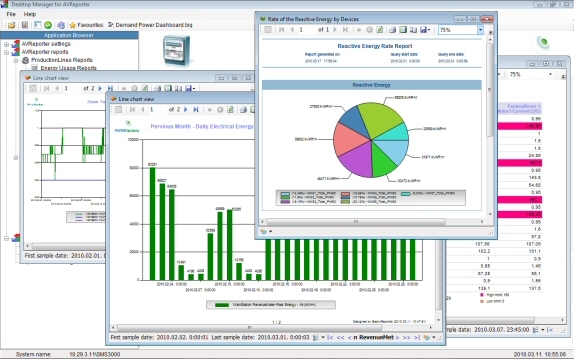 AVReporter energy management software is a tool that can be used day to day by management and engineers alike. It easily enables the handling of large quantities of data from a variety of otherwise stand alone sources. It is provided with a comprehensive set of data analysis tools and formatting options to allow the user to create just the right view and summary of their data. AVReporter is easy to use and fully supported with on-line help and video instruction. 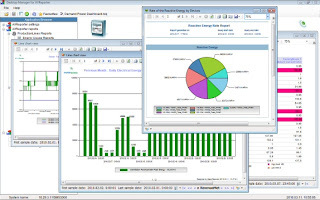 Overall, AVReporter is a great solution for any size installation or application that requires a flexible and easy to apply energy management reporting system. CONTACT US to request demo!